Men’s Water Polo lost to the number one seeded USC Trojans 10-3 in the NCAA National Semifinals on Dec. 7, 2013. The Terriers were trailing 3-1 in the first corner, with a goal from Andras Kovacs. The Terriers held USC to scoring only one goal in the second. They trailed 4-1 at halftime. After halftime, USC matched their goals from the first and second, scoring the first four goals of the quarter. This allowed them to lead 8-1. USC held the Terriers to only scoring one goal in the third, which narrowed their advantage 8-2. The fourth quarter was the deciding quarter for the Terriers, but they couldn’t shake their deficit. The Terriers scored once all quarter. USC scored twice, widening the lead 10-3. 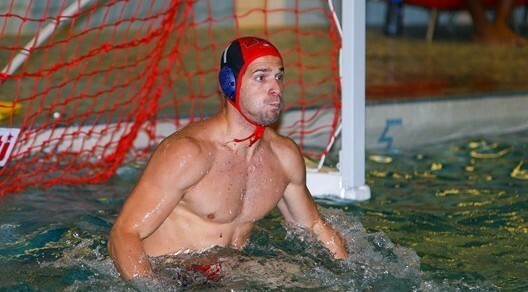 SFBK’s Igor Mladenovic had 13 saves in this match. The Terriers fall to 23-11 this season. SFBK will face the loser of the Pacific/Stanford match on Sunday Dec. 8, 2013 at 4 p.m. to fight for third place.